These counties have offered me and my family so much opportunity, I’m proud to serve Chatham and Durham Counties in the North Carolina House of Representatives. Together, we can get North Carolina back on the right track. Representative Robert Reives II has served in the North Carolina House of Representatives since 2014. 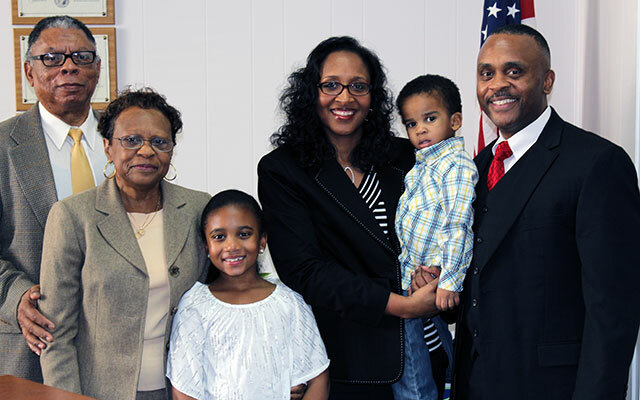 He represents House District 54, serving constituents in portions of Lee County and all of Chatham County. Upon entering the NCGA, Robert was immediately tapped for leadership serving as Freshman Caucus Co-Chair and as treasurer of the NC Legislative Black Caucus. Currently, Robert is still looked to for leadership as he works across party lines in his role as Deputy Democratic Leader of the House, as Vice-Chair of the Education – Community Colleges committee and as Vice-Chair of the Judiciary III committee. Paid for by The Committee to Elect Robert T. Reives II.